Oslo based and Norwegian band Diamondog are stating their position as one of the most promising rock band in the music scene right now after more than decade of hard efforts. Their new album, "Faithful unto Death", oozes confidence, vitality and goes right for the throat. It's all about energy, melodies and catchy refrains. The album kicks off with three killer songs in a row; "Kill me ", "Hurt" and "Let the fight begin". All of them true hit potentials! The song,"Lost in Tranquility", are more mellow but maybe the album's finest. "This is a love song", with its leaden riffs, hits like a slap in the diaphragm and gives a clear hint that these guys have their roots in the heavier part of the rock. "Like a diamond", is a classic of a hard rock song that reminds you of Motorhead's "Ace of spades" while "Soak it in" is perfect for airplay. Overall, 11 very strong and varied songs. The album is produced by Diamondog and Fredrik Wallumrød (El Caco). Tommy Akerholdt (Turbonegro, Serena Maneesh) and Håvard Træthaug (Diamondog) have taken care of the mixes. One of the best rock albums in 2012 – guaranteed! 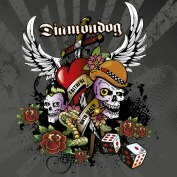 THE STORY BEHIND DIAMONDOG Diamondog has existed since 1998. 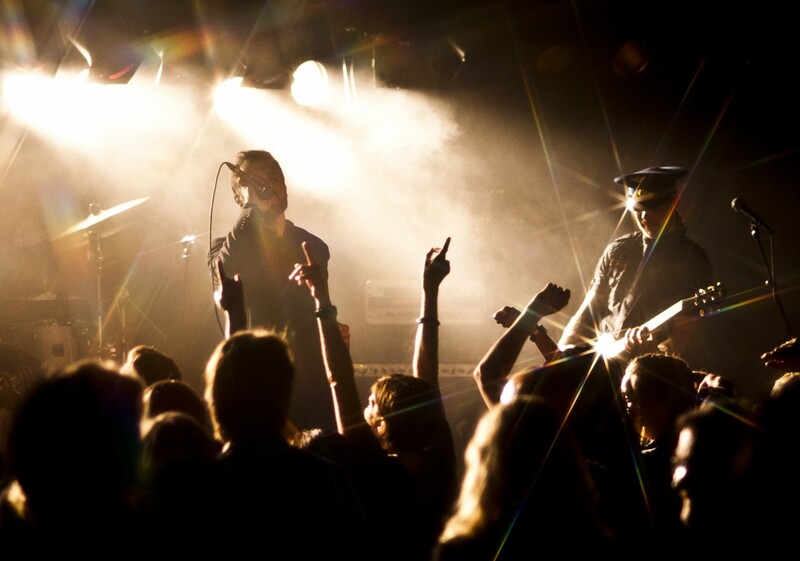 In addition to having acted on national television and playing support for bands like Turbonegro, they have appeared at numerous venues, pubs and small festivals, mainly in Norway and Sweden. Oslo based Diamondog are stating their position as one of the still most promising rock band in the Norwegian music scene - well known for their energetic live gigs and hard hitting, catchy melodies. 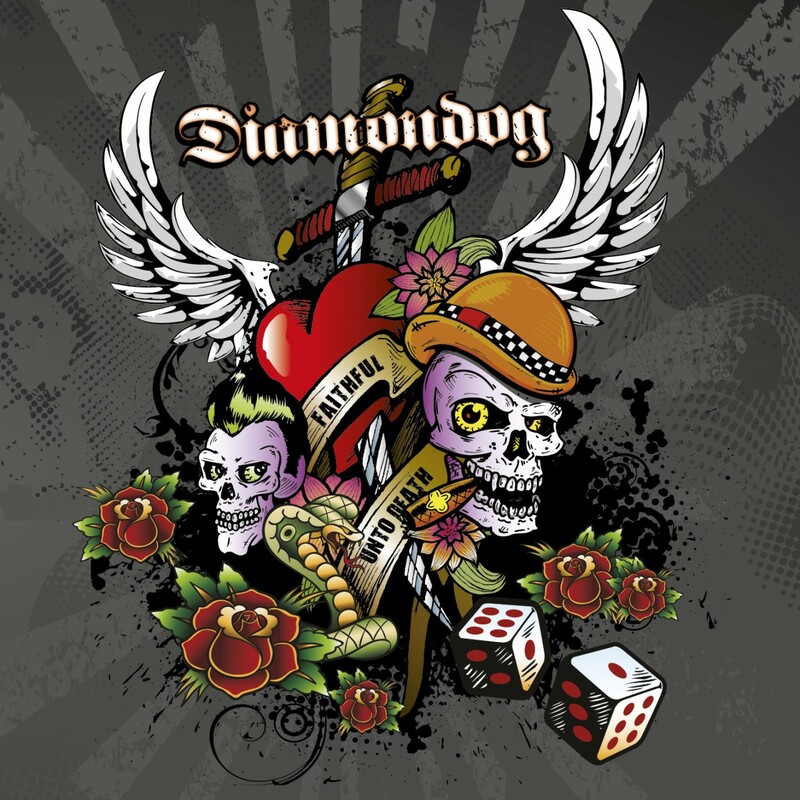 In 2003 they released their first album "Diamondog" at the label Facefront which got generally good reviews all over the music scene. After a couple of quiet years, among others testing of both keyboards and electric violin, they started work on what would become the band's second release. The album was called "Black Comes the Morning" and was released the January of 2009. It was recorded at the Tank Studio in Norway and mixed by the American heavyweights, Fabrizio Grossi (Dave Navarro, Slash, Steve Vai, Starbreaker ..) and Ty Tabor (Kings X). The mastering was originally done by Chris Athens (Metallica, Ozzy Osbourne, Limp Bizkit..), but was later redone by Stig Antonsen when the band was not satisfied with the result. In the summer of 2009 the band expanded with a new member, guitarist Håvard Træthaug, which made the band complete and led to a very exciting and productive year in 2010. In addition to regular live gigs they managed to release two singles, two music videos and an EP on vinyl - "Love, Pain and Diamonds". 2011 turned out to be a rather busy year as well. Besides doing live gigs the band was preparing doing another full length album. The collaboration with Fredrik Wallumrød (El Caco) and Tommy Akerholdt (Turbonegro, Serena Maneesh, Silver..) gave excellent results. The release of their third album, "Kill me", has received the best reviews so far. This spring Diamondog have signed an agreement with Swedish Doolittle Group for a worldwide release of Faithful unto Death and finally the world will get to know one of finest rockbands from Norway!